Access to quality health care is directly tied to having health insurance. Without health insurance or unlimited funds, you will have little or no say in the care you receive or in the choice of providers of that care. The cost of care is so great that a surgery, a day or two in the hospital, treatment for a chronic condition, a prescription for ongoing drug therapy, or even several hours in a hospital emergency room can throw you into considerable, even ruinous, debt if you are uninsured. 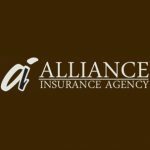 We help our clients find the right health insurance for their specific needs and to help individuals, families, and small business owners find the best value for insurance and benefit needs.